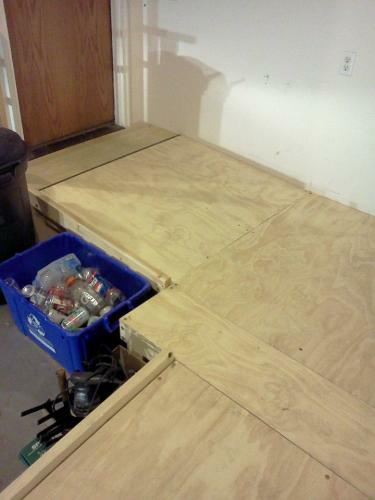 Spent the afternoon/evening/night today with my husband building an ADA-compliant wheelchair ramp for a family member. Not quite finished (needs handrails and rest of the curbing) but it is very strong and safe and functional as-is. We tested it out at 10:30 pm and it works great. 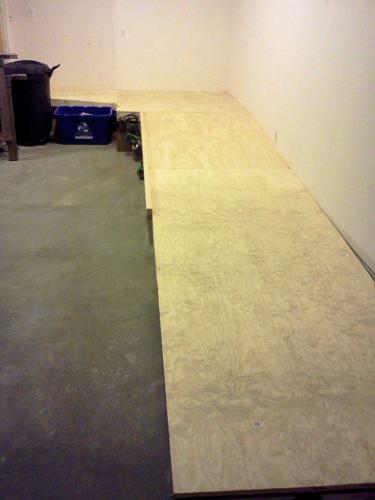 The corner platform is 5' x 5' and the ramp itself it 4' wide. 24 feet total length. It's built in the garage for all-season access. 3/4 inch plywood, strong 2x4 framing with plenty of reinforcement. The black line is visibility paint (not a crack or gap!) since we used the top step of the old stairs as the first short section outside the door. You've done a grand job there Pianolady. The corner isn't to tight and it's a nice, easy slope for a wheelchair to negotiate. I'm sure the person it's for will be delighted with it. PJ--It does look great! A nice easy slope and a decent turning radius. Great job!